Last edited by 1 Patriot-of-many; 11-07-2018 at 02:11 AM. I don't know about illegal voting, unless you're talking about all those anchor babies who are now old enough to vote. Notice how close that race was, Ted Cruz barely won this year, after winning by double-digits back in 2012. If these demographic trends continue, Texas will be blue within a few more election cycles. Indeed, if you look at those Senate races that the Republicans did win tonight, they were overwhelmingly white states. It's in those districts with more ethnic diversity that the Republicans suffered such heavy losses in the House. 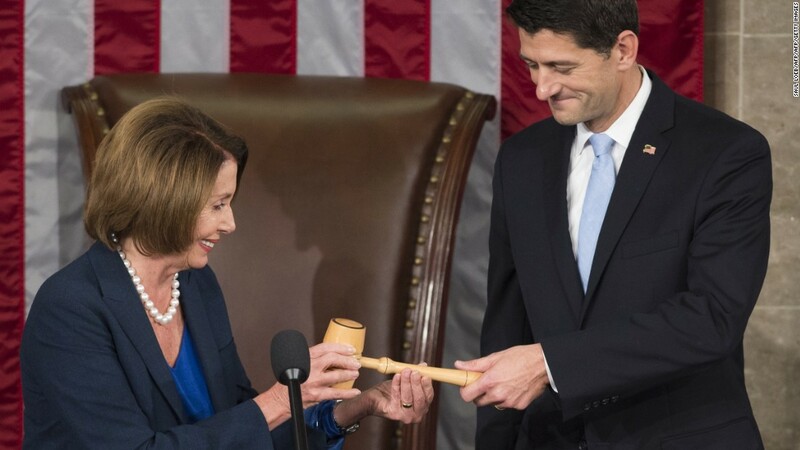 Something tells me Nancy won't be taking the gavel this time though... as much as she was bragging about the prospect earlier today. Wouldn't hurt to get a new face in there, for a change. Maybe someone willing to work with Trump (at least a little) instead of obstructing everything as usual. When have democrats ever told the truth? Bet you Pelosi will be the speaker. I guess you missed almost all the counties on the border of Mexico being blue.....Sure Americans want illegals streaming across their borders into their property, You're being dense on both these issues. Democrats win with illegal votes. Explain again why we don't need voter ID that verifies US citizenship? I think both him and Heitkamp (of North Dakota) fell on their own swords in opposing Kavanaugh in their deeply red states. They both took a dive in the polls immediately after that, and never recovered. Notice how Joe Manchin (D-WV) sailed to victory. He was the only Dem who ended up voting to confirm Judge Kav. It was crucial the Republicans held the Senate. In the next two years they should be able to get more judicial nominations through. In the long run, this will be more important than holding the house imo. Leave it to Rush to put the election in perspective. Obama lost 63 House seats in the midterm election. Clinton lost 54. That being said the biggest issue the Republicans have is demographics. The long term outlook is not good. Why is the long term outlook not good? Because those of us who learned about and love the Constitution and elect those who will follow it are dying off. Been thinking about Trump already giving Peloci the Speaker of the House position. Genius! With democrats hating him so much, they just might vote against Peloci because Trump endorsed her! Because white people aren't having kids and we're importing a million third worlders ever year legally, and many more illegally. LAGC is actually right about this. While there may be a lot of illegals voting as well; I guarantee you that this is mostly a result of anchor babies being old enough to vote. It's time to end birthright citizenship before Texas flips Blue and gives the Democrats a permanent ticket to the White House every cycle. True, but as I noted before, a lot of the GOP, Pro Gun REPUBLICAN candidates in California are Hispanic, Black or Asian (not all of course, but a lot more than I expected). So The DEMOCRAT party which touts itself as the party of racial diversity, a lot of our races, the WHITE GUY LIBTARD Democrat beat out the conservative Republican Minority candidate. Now losing local races is NOT a good thing, but I will continue to slam the Democrats for being hypocrites on diversity. As long as we continue to REDPILL minority voters, and THIS is the DEMOCRAT's biggest FEAR, we can be okay in the long run. What we want is the values and culture of America and people who respect the constitution, rule of law and don't seek to sabotage or destroy America. White people are a declining percentage of the population. Republicans are mostly white. This simple fact and the identity politics of the dims make the outlook not good. Supreme Court Justice Ruth Bader Ginsburg has been hospitalized after falling at her home. The 85-year-old liberal justice was taken to George Washington University Hospital. The Republicans don't need the House in order to ram through another conservative Supreme Court Justice. All they need is the presidency and the Senate. Democrats should have kept their powder dry with Kavanaugh in hopes of taking over the Senate. She actually fell in her office Wednesday night. The doctors are worried that she might end up with a pneumonia-like condition due to the inability to take deep breaths and cough up the mucus that collects in the lungs. Be still my beating heart !! Trump needs to start talking to some new candidates for the SC. He needs to put up that catholic woman judge next....... Can you imagine the smears between being a woman and Catholic? The hypocrisy of the left can never again be so outstanding. Some of that can be explained by Betos having about 50% more cash to spend than Cruz. That and for some reason Cruz hates to use signs. Even with those two negatives Cruz beat Betos. That goes more to strength of support than you are allowing.